This is for a Osaka kitchen cart bamboo top utensil drawer with baskets and shelves from Shopatusm. 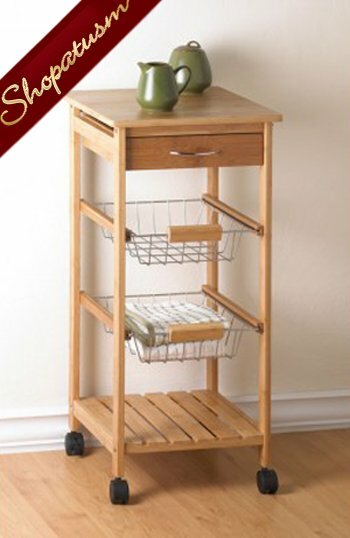 Attractive rolling cart complements any gourmet kitchen! 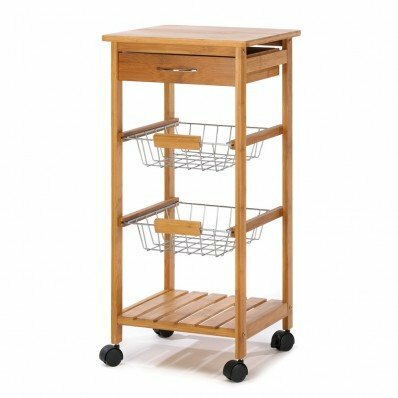 The perfect fusion of fashion and function, with a sleek tower silhouette containing a solid bamboo top, utensil drawer, two baskets and a bamboo shelf. Weight 10 lbs. Bamboo and chrome plated metal. Some assembly required. 14 1/8 inch square x 30 inch high.